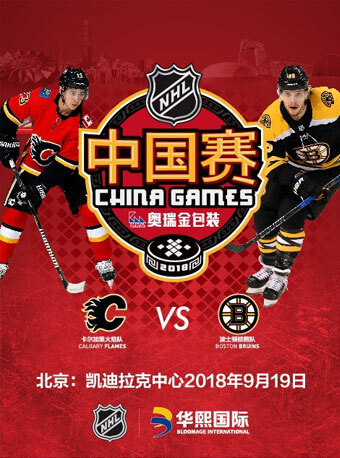 2018 O.R.G NHL China Games Calgary Flames VS Boston Bruins - Beijing will be held at Cadillac Center(Original Wukesong Arena) on Sept.19, 2018. 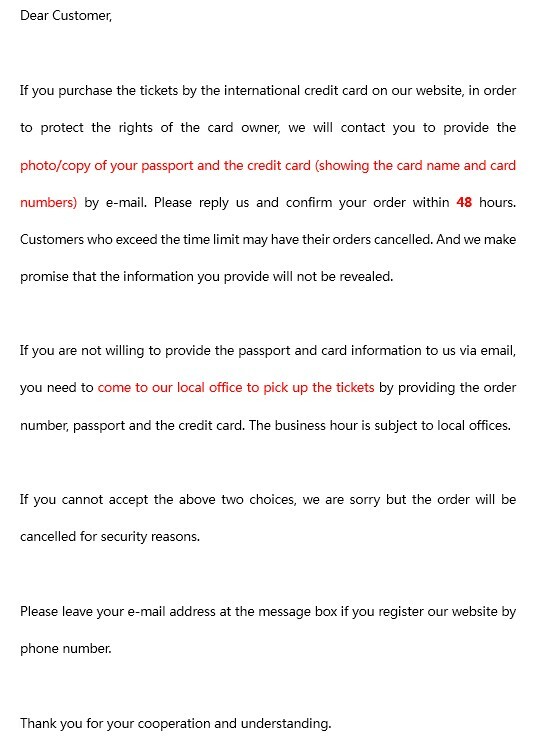 There is only self-pickup option, which means tickets should be picked up at our Beijing office, NOT the venue. Beijing Headquarters: 7th Floor, No.32 Building, Dongzhong street, Dongcheng District, Beijing. If you book the tickets for Student Price( the orange seats at 317B 通道), you need to show the student certificate at the venue, or the balance payment needs to be paid at that time. If you book the tickets for Teacher Price (the blue seats), you need to show the teaching certificate at the venue, or the balance payment needs to be paid at that time. The world’s premier hockey league is bringing the Boston Bruins and Calgary Flames to face-off in the second set of preseason games to be played in China. The 2018 O.R.G. NHL China Games will be played on September 15th at the Universiade Arena in Longgang District, Shenzhen and September 19th at the Cadillac Arena in Beijing. The Boston Bruins are led by captain Zdeno Chara a six-time NHL All-Star and James Norris Memorial Trophy winner (NHL’s top defenseman). The Bruins also feature forwards Patrice Bergeron, David Krejci, Brad Marchand, and goaltender Tuukka Rask who along with Chara each won a Stanley Cup with Boston in 2010-11. Last season Marchand led the Bruins in points (85) while David Pastrnak led the team in goals (35). Boston is the NHL’s third-oldest team and six-time Stanley Cup Champions. Their Western Conference foe, the Calgary Flames, are led by Mark Giordano, a two-time NHL All-Star. Flames forward Johnny Gaudreau is a four-time NHL All-Star and Lady Byng Memorial Trophy winner (NHL’s sportsmanship award). Gaudreau led the team in scoring last season with 84 points. Calgary also features defenseman Noah Hanifin and goaltender Mike Smith both who were All-Stars in 2017-18. The Pacific Division Flames have a proud hockey history with one Stanley Cup, six Division Championships and three Conference Championships. The 2018 O.R.G. NHL China Games is bringing its century long history of goals, saves and power plays to fans in China. You don’t want to miss your chance to enjoy the best hockey players from the best league in the world. Customers who choose ‘Buy On Map’ to buy ticket are limited to six tickets. Customers who choose ‘Quick Buy’ to buy ticket are limited to 20 tickets. Each account is limited to tickets. Each order is limited to tickets. The event needs to verify the real name of the passport. Please fill in the passport number.Each passport is limited to ticket. Children are admitted with tickets! Passport number will be required for verification.